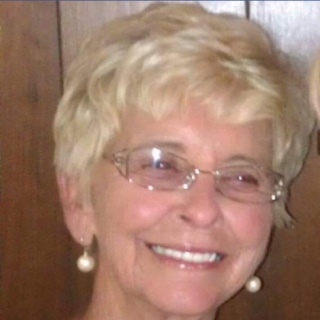 Middletown....Joyce Ann Bosman, 80, resident of Middletown, Passed away Monday at her residence. She was born in Anderson, Indiana, June 22, 1938, the daughter of Charles and Elizabeth Kimmerling Thrawley. She was an alumni of Middletown High School and retired from General Motors/Guide Lamp in 1992. She was active in the Middletown Community Church, the Red Hat Society, Morning Breakfast Group and the Noon Lunch Group. She was preceded in death by her parents, her husband; Joe Bosman, son: Gene "Ralph" Vaught, and brother: Charles D. Thrawley. She is survived by her children: Brad Vaught (Joyce) of Daleville, Greg Bosman (Lisa), Beth Harvey (Malcolm) and Teri Shelton (Pat) all of Tennessee, 1/2 sister: Debbie Furney of Anderson, 12 grandchildren, 19 great grandchildren and 1 great great grandchild. Services will be held on Monday at 6:00 PM at the Middletown Church of the Nazarene, 698 North 5th, Middletown with Pastor Marty Ballard and Dr. Philip C. Rogers officiating. Friends may call from 1 PM until the time of the services at the church.